Hello, my name is Saleem. I was born in the West Bank city of Nablus in 1975 to a Muslim family from the village of Tel. The village of my childhood was green, and life there was quiet compared to the city. Like any other child in the world, I was mostly interested in playing. But in 1987, the first intifada broke out and the violence began. There was stone throwing, clashes with soldiers, shooting, and death. Schools were closed and my happy childhood turned dark. I was 12 years old. In 1994, I went to university to take my first degree in civil engineering. I graduated in 1999 and got my first job the following year and life was beginning to improve. But then, the second intifada broke out and everything stopped for another three years. No projects, no job. That was another dark period. So, who I am now? Professionally, I am a civil engineer. Despite a rocky beginning to my career, I now have 16 years of experience in projects including buildings, infrastructure, roads, water and drainage networks, main pipelines, management, and quality assurance. My expertise also extends to field and laboratory testing of soils and materials and evaluation of soil, concrete and pavement materials. Personally and socially, I am a peace-building activist. Like engineering projects, peace too requires infrastructure and construction. To do my share, I participate in several groups and programs dedicated to peace building. * Center for Emerging Futures: Creating dialogue and partnership between Palestinians and Israelis. 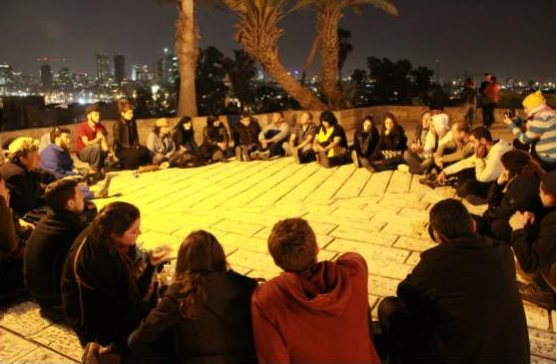 * Tiyul Rihla Trip Non-Profit Organization: The Tiyul-Rihla Project is an initiative bringing together young Israelis and Palestinians, through joint two-day trips, exploring parts of the land, visiting important historical and modern places. * The special regional study program entitled “MENA Leaders for Change” of the YaLa-Young Leaders …Online Academy (YLO@), which brings together young Palestinian, Israeli and regional activists to learn and develop key organizational, critical thinking, leadership, negotiation and communication. 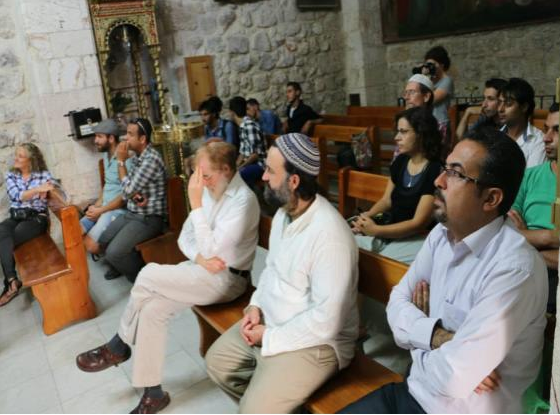 * Jerusalem Peacemakers: A family of ‘peacemakers’, working together to bring peace to the City of Jerusalem and world, seeking to unite the heavenly and earthly Jerusalem. These initiatives and group activities provide a supportive setting and a friendly framework for both sides to get to know each other, while learning important skills and non-violence and other methods and principles of conflict resolution, particularly emphasized in YaLa programs that encourage emerging leadership skills. Peace may be a little abstract but it takes actual and concrete effort to lay its foundations. This is done in a wide range of efforts by diverse actors in government and civil society who work at local, national and international levels to address the root causes of violence and ensure civilians have freedom. The freedom I refer to is also freedom from fear, from want and from humiliation before, during, and after violent conflict. Peace building efforts are also aimed at reducing structural or direct violence. This requires coordinating a multi-level strategy in order to ensure adequate funding (what to do, peace-making isn’t entirely free) and proper communications and mechanisms to coordinate efforts in humanitarian assistance, development, governance, security and justice. Peace building efforts strive to change beliefs, attitudes and behaviors to transform the short and long-term dynamics between individuals and groups toward a more stable, peaceful coexistence. Peace building is an approach to an entire set of interrelated efforts that support peace. Although many of the objectives of peace building overlap with those of peacemaking, peacekeeping and conflict resolution, it is a distinct idea. Peacemaking involves stopping an ongoing conflict, whereas peace building happens before a conflict starts or once it ends. Peacekeeping prevents the resumption of fighting after a conflict has ended, but it does not address the underlying causes of violence or promote societal change as peace building does. Also, conflict resolution does not include some components of peace building, such as state building and socioeconomic development. Successful peace building activities create an environment supportive of self-sustaining, durable peace. It seeks to reconcile opponents, prevent conflict from restarting, integrate civil society, create rule of law mechanisms and address underlying structural and societal issues. Researchers find that peace building is most effective and durable when it relies upon local conceptions of peace and the underlying dynamics, which foster or enable conflict. My experience with the YaLa Peace Institute was amazing. I gained positive ideas and was very inspired by the vision of positive thinking and non-violence. 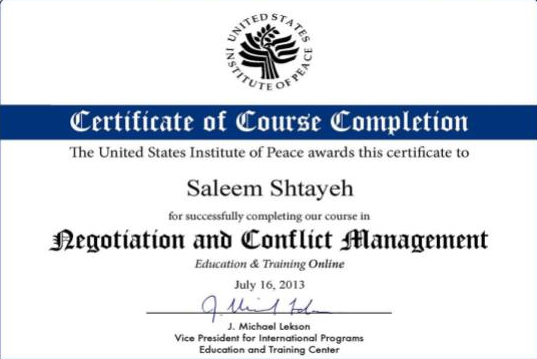 In the fiercest of conflicts, they teach conflict resolution, forgiveness and trust building. Their vision includes another aspect that is internally important to Palestinian society and will be even more important after the conflict ends (Inshaallah! ), such as social justice, fighting corruption, democracy and elections, civil groups and organizations roles. 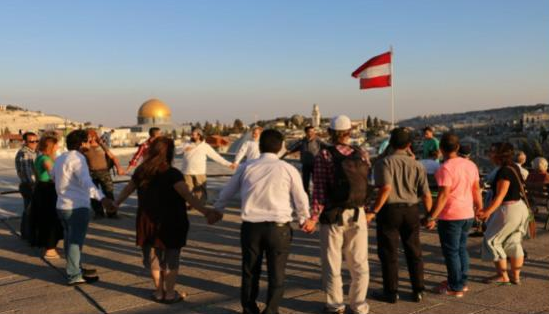 These programs serve as a powerful tool to help empower our communities that suffer from a miserable economy and widespread corruption in addition to the occupation and conflict. The changes necessary cannot be achieved overnight. It may take 10 years of such programs to spread positive thinking, equality, democracy, peace building, conflict resolution, negotiation and nonviolent methods, but I am confident these will be achieved. And I am confident that peace will be achieved- not only here, but also for all human beings, especially those living in the shadow of violent conflict. My hope is that all humanity can live free of poverty and violence, and enjoy liberty, prosperity and peace—even if it takes a lot of engineering. During the dark periods of my childhood and early adulthood, I had little hope for a future. Looking back now, my own experience gives me hope. 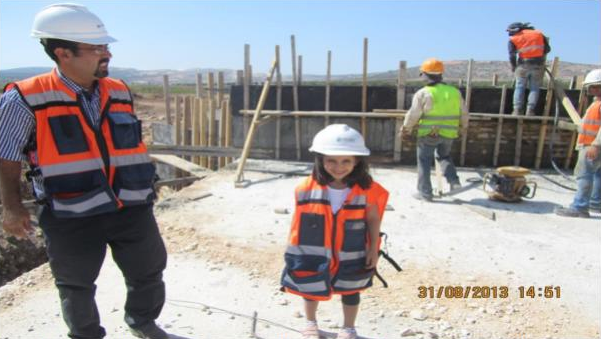 Posted on January 20, 2015 July 27, 2015 by alisonarnold7Posted in English, Peace ActivismTagged palestine, peace activism, yala young leaders.